Welcome to RUST, SALT, TAR, SMOKE, KNOT, GRIT, GRAIN and BRIDGE, the first eight exhibitions in a series that has brought together a group of contemporary artists to produce works based on simple elemental themes. The first five exhibitions took place at the Black Diamond Gallery in Port Adelaide, the first two as part of the 2009 and 2011 Port Festivals, the next three as part of the 2013, 2014 and 2015 Adelaide Fringe Festivals.The most recent, GRIT, GRAIN and BRIDGE, took place at the previously inaccessible Packing Shed at Hart's Mill, with BRIDGE also occupying the silos within the 1855 Harts Mill in Port Adelaide. In 2009, the genesis for the first exhibition RUST came from a desire to bring people to the Port, firstly to enjoy a contemporary art exhibition and secondly to make them aware of what our community was enduring due to the loss of the Port's maritime heritage, culture and character. RUST was an artist and community initiated protest exhibition comfortably embedded in a Port Festival designed to celebrate the Port. Bryan Dawe, political satirist and Birkenhead boy, opened RUST with a vengeance, telling the audience and the government exactly what he thought of the redevelopment that was taking place on his beloved waterfront. He despaired that the Port had 'been sold down the river'. And it had. The themes for these exhibitions are based on gritty and quintessential elements found in any waterfront or harbour. The artists are given freedom to explore and interpret each theme as they like with the result that each of the exhibitions has contained work that has been diverse, cohesive, surprising, thought-provoking, beautiful, humorous and challenging. The artists involved range from some who have shown their work at the Victoria & Albert Museum in London to others who might have had a show at their local. SALT, TAR, SMOKE, KNOT, GRIT,GRAIN and BRIDGE have followed on from RUST with the intention of bringing more contemporary art and art lovers to the Port, bringing more people to explore the Port who are prepared to look at it for its potential. The offending developers have been removed and hopefully now some of the potential that was always there can be realised without the destruction of any more of the Port's much loved character and with the community's aspirations to the fore. Ohh, and did we mention that TAR won the BankSA Best Visual Art and Design Award at the Adelaide Fringe Festival 2013. And that KNOT won the BankSA Best Visual Art and Design Weekly Award at the Adelaide Fringe Festival 2015. And that GRIT won the BankSA Best Visual Art and Design Weekly Award at the Adelaide Fringe Festival 2016…. 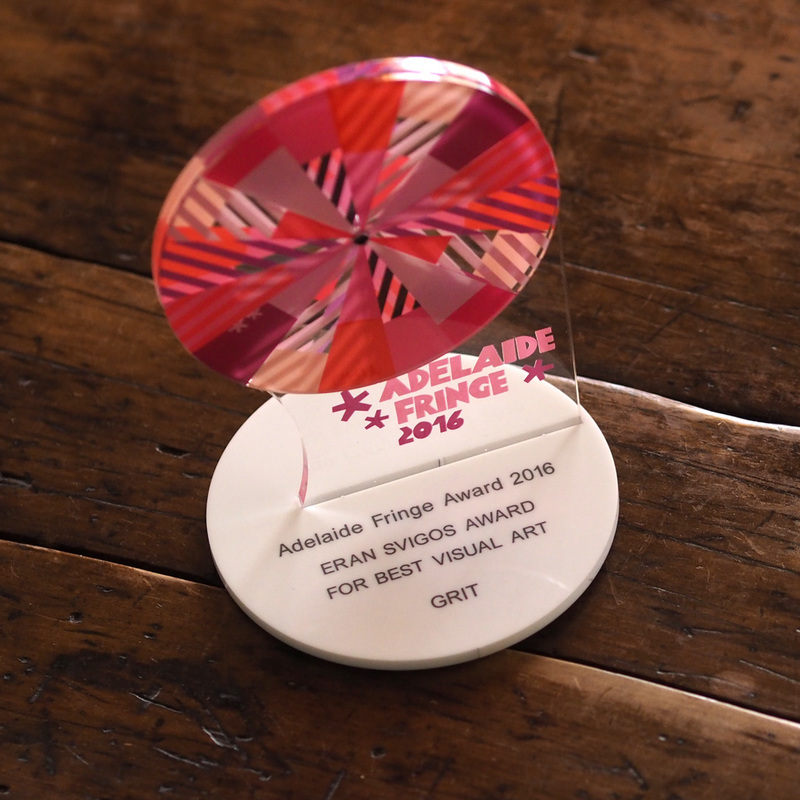 ​….and the Eran Svigos Award for Best Visual Art, also at the Adelaide Fringe Festival 2016.